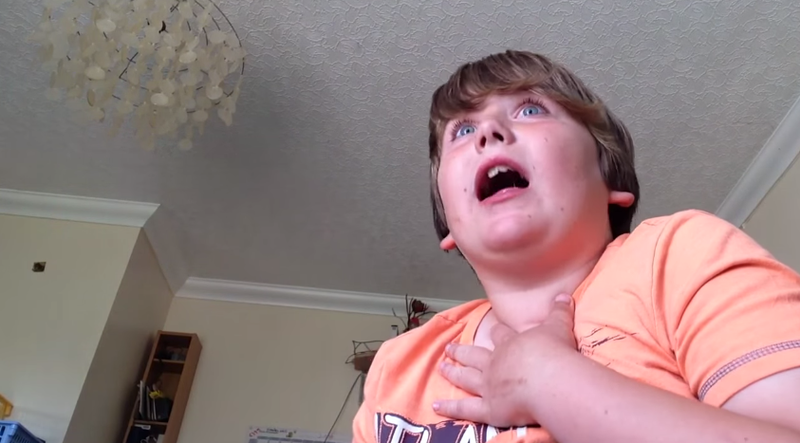 Loads of people film themselves eating hot peppers and post it online, and this kid trumps the lot! I’m not entirely sure why anybody would do this. YouTube is filled with people doing chili challenges, and eating things that are hotter than the sun. Why would you see just how horrible it is for somebody else, then do it yourself? It’s borderline self harm! Anyway, this kid (he’s only 9!) decided to eat the hottest pepper in the world, and film it for our amusement. His weapon of choice is a Carolina Reaper pepper – Which is in the Guiness World Records for being the world’s hottest chili pepper. Off camera, you can here his grandad telling him ‘You’re not supposed to swallow it’, but it’s too late, and panic kicks in! It’s a daft and stupid thing to do, and was probably very horrible for the lad… But, y’know… It’s funny to watch! His face is a picture!